This item is discontinued but we have one in stock when listed. 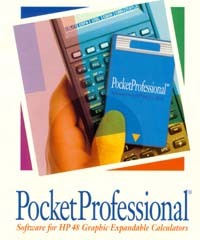 We also have the ability to source difficult to find HP calculators and accessories. Please refer to our condition guide for questions about used and refurbished items and contact us if the condition you are looking for is not currently listed. We may have one that we haven't listed yet or the ability to source one for you. New expansion cards come with a manual. Purchase this manual if you have lost yours or need a replacement manual. As the manuals are out of print, these are copies of a manual, not the originals, sold at a cost to cover reproduction costs only.